The Joint Admissions and Matriculation Board says arrangements have been concluded to have an interaction with owners of Computer Based Test centres in the country ahead of the 2017 UTME. The board’s Head, Media and Information, Dr Fabian Benjamin, made the disclosure in a statement made available to the News Agency of Nigeria on Monday in Lagos. 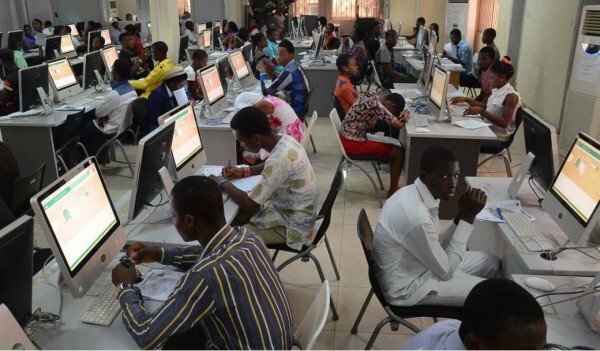 According to the statement, the meeting which comes up on Tuesday at the University of Lagos is to fine tune all areas of challenges geared towards conducting a hitch-free examination in 2017. It said that the meeting would determine the number of centres to be used for the 2017 all CBT Unified Tertiary Matriculation Board exercise. These are centres that must have a minimum of 250 and above terminals (computers). “We will not hesitate to disqualify any centre that falls short of the requirements,’’ the statement said. The statement said that the board would commence the sale of application forms soon and urged prospective candidates not to patronise any self-acclaimed agent as the board had not and would not appoint any. It urged candidates to always visit the board’s website for information.